Cover art by Frank Kelly Freas. 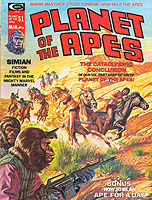 Includes contributions from Vaughn Bodé, Harlan Ellison, Mike Ploog and Basil Wolverton. 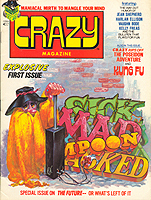 Includes spoofs of Kung Fu and The Poseidon Adventure. 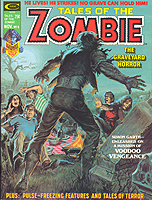 Includes contributions from Neal Adams, Frank Kelly Freas and Harvey Kurtzman. 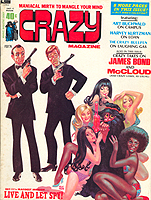 Includes spoofs of Live and Let Die and McCloud. 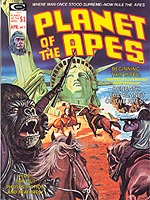 Includes contributions from Gardner Fox, Pablo Narcus and Michael Ploog. 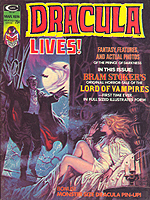 Includes contributions from Frank Brunner, Gene Colan and Luis Dominguez. 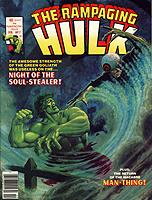 Includes contributions from Wendi Pini, Jim Starlin and Arthur Suydam. 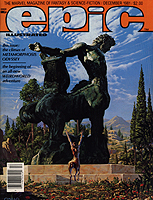 Cover art by the Brothers Hildebrandt. 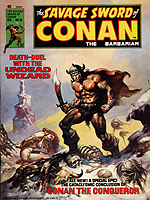 Includes contributions from Tim Conrad, Robert E. Howard and Jim Starlin. 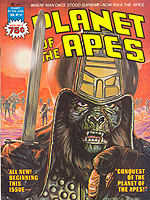 Cover art by Tim Conrad. Includes contributions from Tim Conrad, P. Craig Russell and Charles Vess. 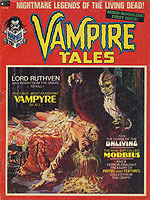 Cover art by John Bolton. 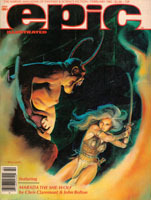 Includes contributions from Arthur Suydam, Rick Veitch and Charles Vess. Cover art by James Fox. Includes contributions from Leo Duranona, Harlan Ellison and Ken Steacy. 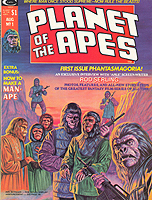 Cover art by Steve Hickmann. 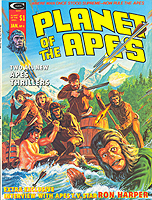 Includes contributions from Terry Austin, Carl Potts and Kent Williams. Cover art by George Bush. 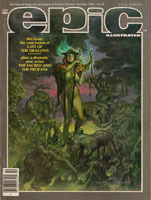 Includes contributions from Michael W. Kaluta, Kent Williams and Charles Vess. Includes contributions from Neal Adams, David Kraft and Bob Larkin. 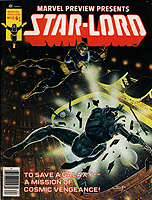 Featuring Star-Lord from the Guardians of the Galaxy. Story by Chris Claremont. Art by Carmine Infantino. Also includes an article on time travel by Arthur C. Clarke. 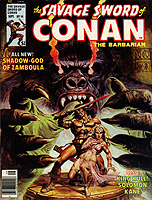 Includes contributions from Chris Claremont, Bob Larkin and Mike Ploog. Includes contributions from Alfredo Alcala, Chris Claremont and Bob Larkin. 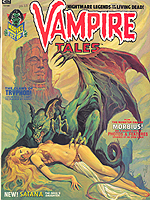 Includes contributions from Alfredo Alcala, Bob Larkin and Tom Sutton. Includes contributions from Jim Starlin. Includes contributions from David Kraft. Starring The Avengers and Shanna the She-Devil. Includes contributions from Alfredo Alcala, Howard Chaykin and Walter Simonson. 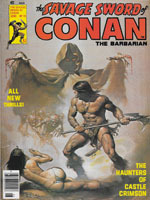 Includes contributions from Tim Conrad, Robert E. Howard and Boris Vallejo. 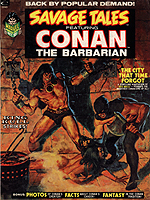 Includes contributions from John Buscema, Tim Conrad and Robert E. Howard. 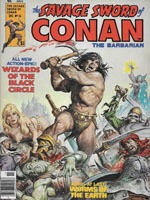 Includes contributions from Neal Adams, Robert E. Howard and Mike Zeck. 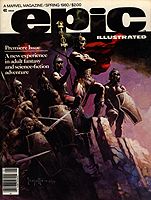 Includes contributions from Alfredo Alcala, Tim Conrad and Barry Windsor Smith. 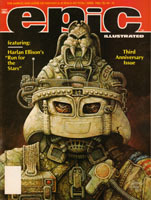 Cover art by Dan Adkins. Includes contributions from Howard Chaykin, Tim Conrad and Michael Kaluta. 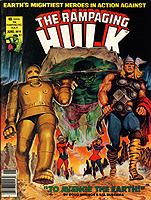 Includes contributions from John Buscema, Tim Conrad and Barry Smith. E. Howard, Barry Windsor-Smith and Berni Wrightson. 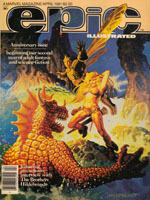 Includes contributions from Neal Adams, John Buscema and Al Williamson. Includes contributions from John Buscema, Stephen Fabian and Steve Gan. 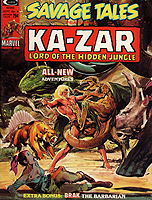 Starring Brak the Barbarian and Ka-Zar. Includes contributions from Alfredo Alcala, W. Michael Kaluta and Pablo Marcos. Gene Colan, Michael Moorcock and Alex Niño. 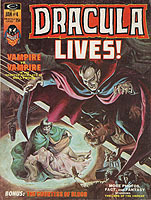 First solo appearance of Morbius, the Living Vampire. 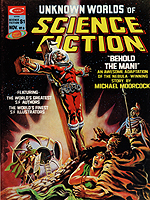 Includes contributions from Bill Everett, Gardner Fox and Esteben Maroto. 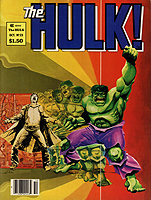 Includes contributions from Gene Colan, Gardner Fox and Jim Steranko.